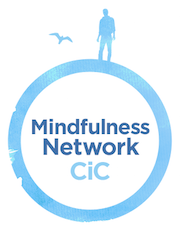 I offer personal practice mentoring through the Mindfulness Network. The aim of personal practice mentoring is to support ongoing personal mindfulness practice within a secular framework and context, through one-to-one sessions, with an experienced mindfulness-based teacher/supervisor. Practice mentoring provides an optional and enhanced focus on personal practice for all who wish to deepen their exploration of mindfulness practice in everyday life and work. It supports the process of reflection through a deepening inquiry into one’s ongoing formal and informal practice. It encourages exploration and discovery, and provides support and guidance where needed. It helps to keep practice engaged and alive, and supports skilful engagement with obstacles that may arise. 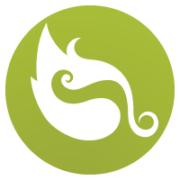 The mentoring sessions provide a specific focus on inquiring into personal mindfulness practice within a secular context. Phone or electronic platform-based sessions are arranged on a contracted basis with flexible intervals between the sessions (e.g. monthly, to allow time for practice and reflection). The content and framework for the sessions, including frequency of contact, and other practicalities (e.g. how often/ long/when) are arranged during an initial contracting session. It is fine to link with a mentor now and again or on a more regular basis. Who is personal practice mentoring for? anyone who has completed a group-based, eight-week course such as Mindfulness-Based Stress Reduction (MBSR) or Mindfulness-Based Cognitive Therapy (MBCT). anyone who has completed an eight-week MBSR distance learning course. trainee mindfulness-based teachers who are currently on or waiting to join a mindfulness-based teacher training programme. We suggest that mentoring follows an interval of 6 months following an 8 week course to support the development of independent practice. However, if it is beneficial to begin sooner, we are willing to discuss what works best according to individual needs and requirements. Practice mentoring is separate to supervision. It is ideal for mindfulness-based teachers as a way to rekindle inquiry and inspiration within personal practice as this will naturally inform the teaching process. Practice mentoring continues to be a place whereby I can explore what arises for me in my informal and formal practices. Gwennie is an excellent guide and mentor, always helping to create the space necessary for me to navigate the complexities and possibilities of living mindfully in daily life. I would highly recommend both Gwennie and practice mentoring as a way to support and nourish mindfulness practice.